Quake. Photo made with The Bellhop Camera. Heather Oelklaus is an experienced pinhole photographer. She has made cameras from objects including lunchboxes, teapots, and nesting dolls, among others. Her most recent design took shape when Oelklaus brought ten yards of blackout cloth to a photography retreat with a plan to construct impromptu camera obscuras along the beaches of Port Arkansas, Texas. 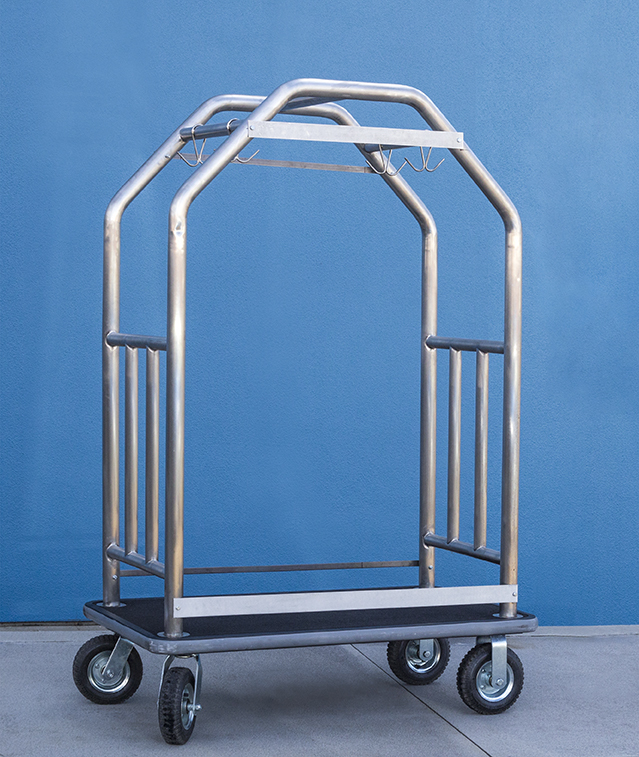 That plan shifted into what would become “The Bellhop Camera” when the retreat’s leader borrowed the cloth to cover a hotel luggage cart that was concealing her dog. Inspired by the sight of the cloth-covered cart being wheeled across the hotel lobby, Oelklaus later secured the fabric with bungee cords and cut a dime-sized hole in the center. With a trusting friend inside, the group spent the rest of the afternoon pushing people around the parking lot and explaining the history and function of the camera obscura. What started as a silly project sparked the idea for Baggage, a new series of layered pinhole images made with The Bellhop Camera. Over the course of three days Oelklaus constructed the final version of the camera. In order to achieve the layered exposure, Oelklaus utilized three, 1mm pinholes with an aperture of f567. This aperture allows for a faster exposure time of 90 seconds on a sunny day. The Bellhop accommodates 24 x 49” black and white photographic paper to generate paper negatives, which are later contacted printed into the ethereal and disorienting images for Baggage. View more of Oelklaus’ work on her website.